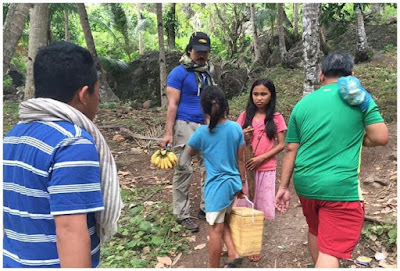 The Department of Education (DepEd) was shocked on the news of the untimely death of one of the education key officials in a freak vehicular accident that had occured sometime in the morning of August 29 in Pililla, Rizal. It's terrible for the DepEd to bear such incident of Undersecretary Francisco M. Varela's death. What a great loss to the agency for losing a principled man so dedicated to his job, making things done in the virtue of honesty . Mr. Varela is well-loved by his education colleagues as a leader, as a catalyst for reforms in education, "judicious spender" in education, advocate of anti-corruption, compassion on learner's plight, and a great exemplar of hardwork and honesty. 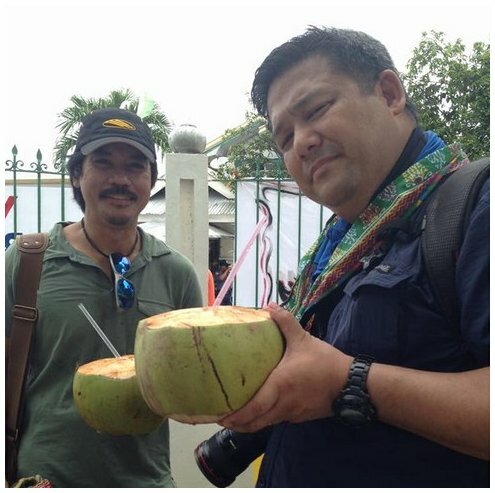 Assistant Secretary and Chief of Staff Rey Laguda and Asst. Sec. for Planning and Development, Jesus Lorenzo R. Mateo have recalled their memorable moments with Usec Francis Valera while working together respectively. 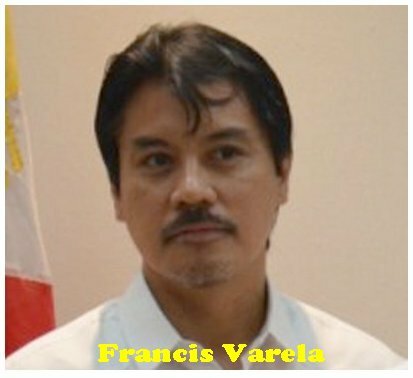 Who Is Mr. Francisco M. Varela in the DepEd? In his personal FB account, ASEC Rey Laguda expressed the gross loss of a colleague in the DepEd the following day of Mr. Varela's accident. "I am deeply saddened by your passing. It is surreal. I half expect to see you on Monday at the office. But I know I never will. "DepEd lost a great man today. Our country lost a patriot. I lost a colleague, a leader, a mentor, a friend. "I offer my sincerest condolences to the family of Francis. Allow me (and many others) to share in your pain and anguish in the hope that we may somehow lighten your burden." "You lived life with so much passion. You infected me enough to dive underwater, climb Bongao peak, and more importantly, to stand against the headwind for the sake of the Filipino learner. You pushed us to our limits so that we can discover the truth and bring out in us a facet we never thought we had. Thank you Francis." Mr. Varela is "very instrumental in forging ahead education reforms particularly in ensuring that every cent in the education budget is spent judiciously." "He was a staunch advocate of anti-corruption efforts in the Department and played a very important role in instituting reforms to ensure that ethical standards are observed in all transactions involving the agency,"
He is "highly principled man" with "a sharp mind, a willingness to make tough decisions, and...compassion for the Filipino learner." In his 5 years stint as undersecretary of education for Finance, Mr. Varela is an instrumental in preparing the K to 12 program for full implementation. At 47, Varela died in an accident in Pililla, Rizal. We in the DepEd do express of condolences to Sir Varela's bereaved family. May his soul eternally rest in peace. How unfortunate, he's done so much. And he's also contributed a lot to education. Accident is inevitable, condolence to the family of USEC F. Varela. Unfortunate to hear about the accident. It certainly is a lost to the education sector. How ironic that the good people die young. :( Our country needs more people like him. Condolences to his family. No one can really say when life will come to an end. It is important to have good educators and people at the top. It is really sad to hear of a good man's death. It's an unfortunate news. I'm sure he and all his works will never be forgotten. May his soul rest in peace. I caught this news in my newsfeed. I thought he was sick then I learned that it was an accident. SO untimely. RIP. Condelence to his family. I'm sure he could have help a lot of people if he's still living. Aww... that's so sad to hear. At least he left a legacy or a mark to other people before he left this world. Condolence to his family. i saw a couple of his accomplishments prior to reading your blog, and i must say that he is definitely one great loss especially for a country like ours. so sad. I'm sorry to hear about the incident. Praying for comfort for the bereaved family. I feel bad about the incidents, my condolences to his family. Condolence to the family and friends of Usec Varela. May his soul rest in peace. We just can't avoid accidents. But vehicular accidents are mostly human error. So sad to hear this news. Condolence to this great person. God bless his soul.